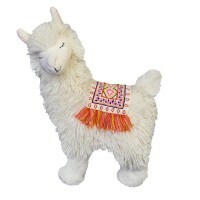 Radicool Kids have extended their range with quality accessories for the raddest little people. Loving this cap featuring the Kissed by Radicool ballet floral print. This print has been very popular with the girls and their mums and grandma..
Loving this cap in acid washed denim. This one will be popular for the girls and the boys.S/M fits 2-6 years, M/L fits 7-12years7.5oz deni..
Camo print and black mesh.S/M fits 2-6 years, M/L fits 7-12yearsCotton DrillFront badgePlastic adjustable closure..
Niko Tiger knitted stick rattle. 100% cotton knit. 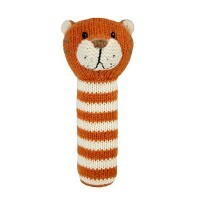 Matching rattle available.Height 19cm fill - polyester ..
Niko Tiger knitted rattle. 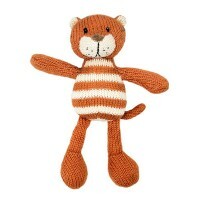 100% cotton knit. 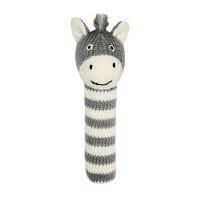 Matching stick rattle available.Height 19cm fill - polyester ..